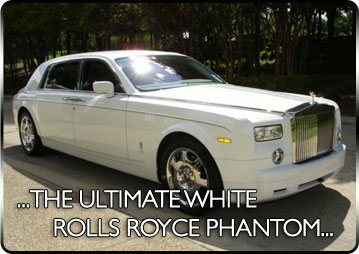 Welcome to Rolls Royce Phantom Car Hire, We are UK`s most prestigious Rolls Royce Phantom car hire company that offers a chauffeur driven service. We are an established chauffeur hire company that offers a service that is first class with offices in London, Midlands and Yorkshire. 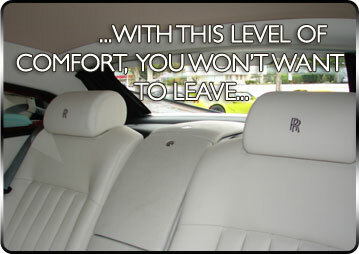 The Rolls Royce Phantom has been elegantly designed to travel in luxury and style. The Rolls Royce vehicle has been hand crafted with the latest technology. This Rolls Royce will make any occasion extra special as you travel to your destination. If you are looking for a prestige car that is perfect and that stands out from the rest, the Rolls Royce Phantom is the car for you. We are renowned for our first class service, particularly for weddings, birthdays, anniversaries, corporate function and business events. We are very proud of our outstanding chauffeur service, that’s why our customers come back to us time after time. We offer a range of Prestige cars for hire, Rolls Royce Phantom Hire, Bentley continental Flying Spur Hire and Bentley Arnage Car Hire. Whatever the occasion let us make your event or celebration memorable. We can help you create an itinerary to suit your needs whilst driving you in elegance and style. 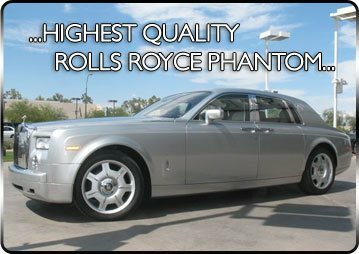 Rolls Royce Phantom Cars offer a nationwide service. We will travel any were in the UK to make you day special. We provide the highest quality of chauffeur service; our chauffeurs are professional, highly trained and very courteous. They will ensure your journey will be safe, enjoyable and extremely relaxing for both you and your guests. Hiring one of these Rolls Royce Phantom's or Bentley's could not be any easier. 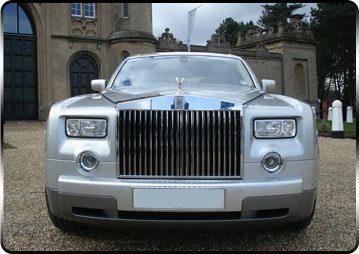 You can follow the below link to complete our quote form, or give us a call on 0800 316 6567 or 07372 826 732 and Rolls Royce Phantom Car Hire will offer a personalised quote to suite your needs. Click Here to Get a Quote!! Flying Spur Car Hire - Arnage Car Hire Weddings - Chauffeur Driven - Airport Phantom Hire - Rolls Royce Hire Service.